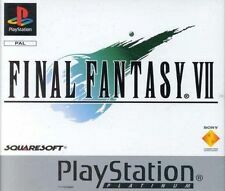 Final Fantasy VI 6 (Sony PlayStation 1, 2002) - European Version. Condition is Good. Dispatched with Royal Mail 1st Class Large Letter. Boxed with manual. There is a hairline crack on the front and back of the case. Just visible in the pictures. Some discoloration to the manual. Both discs in great condition. I also have the other PlayStation Final Fantasy games listed. Check out my other listings for more! Final Fantasy 7 PS1. Condition is Good. 1 Spindle in the box is missing so disc 1 cannot be held securely in place. Everything else good condition. World of Final Fantasy ps4. Condition is Very Good. Final Fantasy Fables - Chocobo Tales Nintendo DS, Very Good Condition. Chocobo Tales Nintendo DS. Condition is Very Good. 9999/9999 hp and mp. Sephiroth in your team and more. N O T I C E ! - u p o n playing t h e s a v e f i l e s w i t h 9 9 o f e v e r y item. P L E A S E m a k e s u r e you h a v e s o l d 9 9 o f a n i t e m t o m a k e a f r e e s p a c e f o r w hen you buy t h e b a t t e r i e s i n t h e w a l l m a r k e t o n D i s c 1. FINAL FANTASY 1 & 2 DAWN OF SOULS GameBoy Advance GBA Great Condition. Dispatched with Royal Mail 1st Class. COMPLETE WITH MANUAL AND DEMO DISC. ONCE PAID I SHALL DISPATCH SAFELY AND SECURELY. Display your love for the Final Fantasy Series with this Chocobo/Moogle Pin Badge! 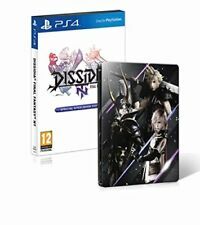 Manual, disc and case included. Lightning Returns: Final Fantasy XIII IMMACULATE CONDITION (Xbox 360, PAL UK). Condition is Like New. Dispatched with Royal Mail 1st Class Large Letter. 20TH ANNIVERSARY EDITION IN VERY GOOD CONDITION. Final Fantasy IX (Sony PlayStation 1, 2000) A true classic for anyone wanting to relieve their childhood :) Case discs and manual all in very good condition *there is some slight marks on the front sleeve of the case which I have provided close up photos of, and some marks to the front lip of the case which I have also taken close ups off. If payment received before 3pm Monday-Friday I shall deliver the game the very same day using Royal Mail 2nd class signed for delivery. Any questions please ask!! Check my other listings please, and thankyou for looking. Final Fantasy 15 Day One Edition Xbox One Used. Condition is Very Good. Dispatched with Royal Mail 1st Class Large Letter. Final Fantasy Dawn Of Souls. Condition is Good. Dispatched with Royal Mail 1st Class Large Letter. Enter the realm of Eorzea with players from around the world in Final Fantasy XIV: A Realm Reborn for PlayStation 3. Blu-Ray Movies. DVD Movies. Rare Final Fantasy Type O Official Sony PSP Japanese Jap Japan Import NTSC J Item may have some minor scratches or yellowing. Please check out my other auctions for rare video game merchandise and promotional items. Happy to combine postage on multiple auctions. Please contact me if you require further information about any of my items. Happy bidding. Bundle 25 games for Sony Playstation 1 Job Lot 99p Auction Final Fantasy. Condition is Good. Dispatched with Royal Mail 2nd Class. New life cannot be born. As Lightning, it is your mission to save as many souls as possible so that they may be brought to the new world. All New Battle System. It all ends here. A Constantly Moving World. In a nutshell, the world of Spira is under constant attack by a spiritual bad dude known as Sin. The bosses in particular show themselves to be especially devious and require the player to use very specific abilities to defend attacks successfully. Final Fantasy 15 for PlayStation 4. 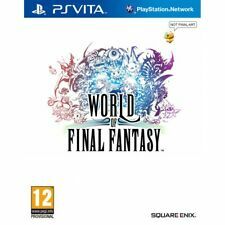 Final Fantasy I - PlayStation Portable. The winds die. The seas rage. The earth decays. Final Fantasy 3 (English translation) for Nintendo Famicom. Discs are in acceptable condition. Final Fantasy VIII 8 Ps1 Platinum PAL VERSION 3 disks. Manual included. Condition is Very Good. Free tracked postage UK. Final Fantasy VI tested working for the Super Famicom. Final Fantasy 7 VII - Black Label - Complete - Rare Misprint Edition!